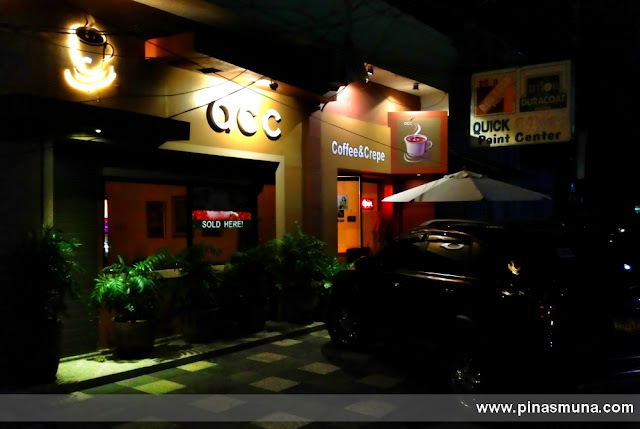 ROXAS CITY, Capiz - It was a quiet Sunday evening and we suddenly craved for coffee...a nice cup of warm latte. 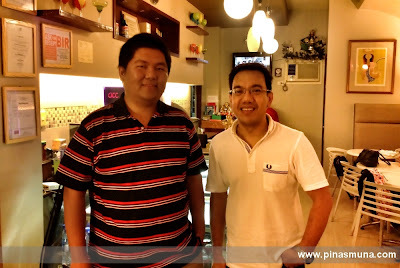 Good thing a friend recommended a coffee shop in Roxas City, ACC Coffee & Crêpe. From our hotel, we hailed a trike and told the driver to bring us to ACC. It was already 8:30pm and we were worried that ACC might be closing early that evening, especially it was a Sunday. Fortunately, ACC won't be closed until 10:00pm. 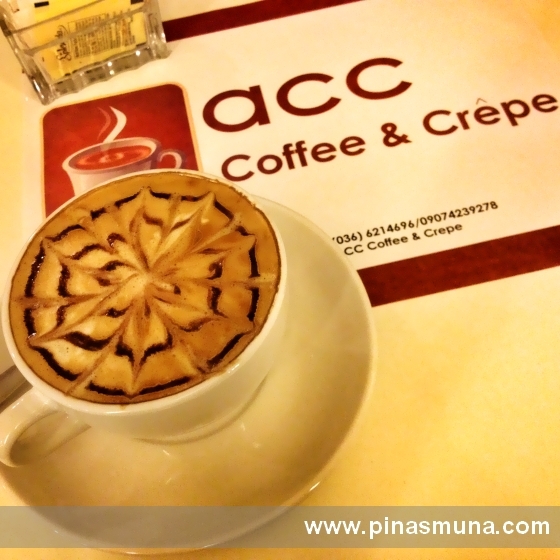 From ACC's menu, we immediately browsed through their coffee selection and ordered our usual caffe latte. It didn't take long for our coffee to be served and we were even surprised to find latte art on our cup. This cup of latte was definitely made with passion. When we finally had our first sip, we were 100% sure that ACC uses top quality coffee beans. Being coffee lovers, you have to take our word that ACC serves one of the best caffe lattes in the whole country. ACC experience wouldn't be complete without sampling their crepes! ACC offers two types of crepes: savory crepes & dessert crepes. Savory Crepes are basically crepes with meat filling/topping. Served with salad, they are good enough as a meal. Dessert Crepes, on the other hand, are on the sweeter side, with fruit and chocolate as filling. One of ACC's bestselling dessert crepes is Mango Bliss. 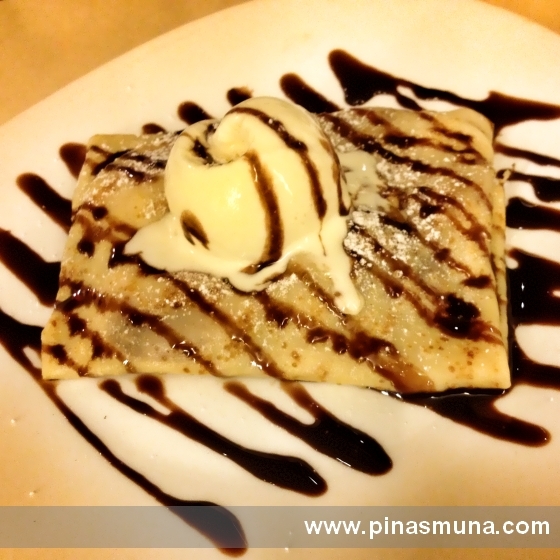 This crepe is filled with perfectly ripe mango slices and topped with vanilla ice cream and chocolate syrup. Yummy! Dr. Victor Federico "Pip" Acepcion, a Roxas City-based urologist, faced a problem when his clinic, which he also shared with his sister, could no longer fit the ever growing number of visiting patients at their receiving area. In March 2011, he decided to open a creperia beside his clinic to provide a comfortable waiting area for his visiting patients. His crepes and coffee instantly became a hit to the locals that he had to move his clinic to a new location to accommodate his cafe's expansion. 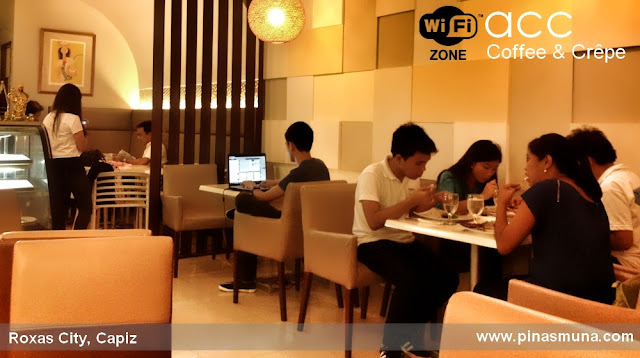 ACC is now a favorite hangout place for young professionals, students and families in Roxas City. There is no doubt that Dr. Acepcion is passionate about coffee and crepes. Aside from being a fulltime urologist, he is also involved in the daily operations of ACC. When he is around, he takes over as the barista. Uy! I will be here soon!